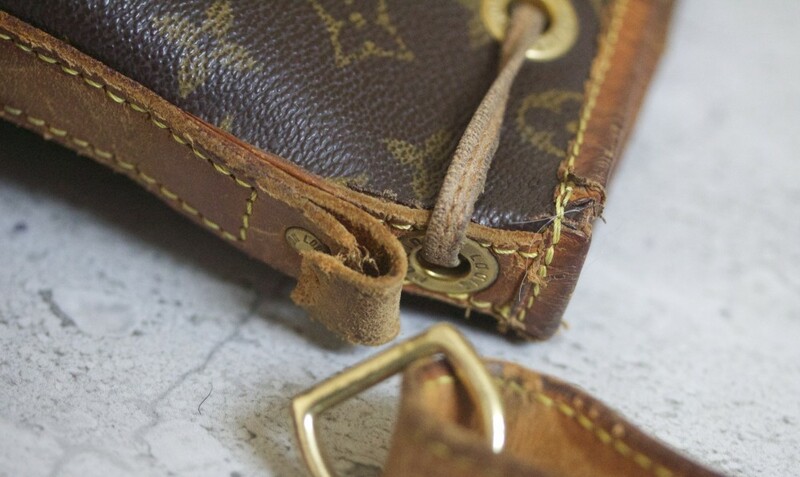 The Handbag Clinic: My Louis Vuitton Noe is repaired! - Fashion For Lunch. 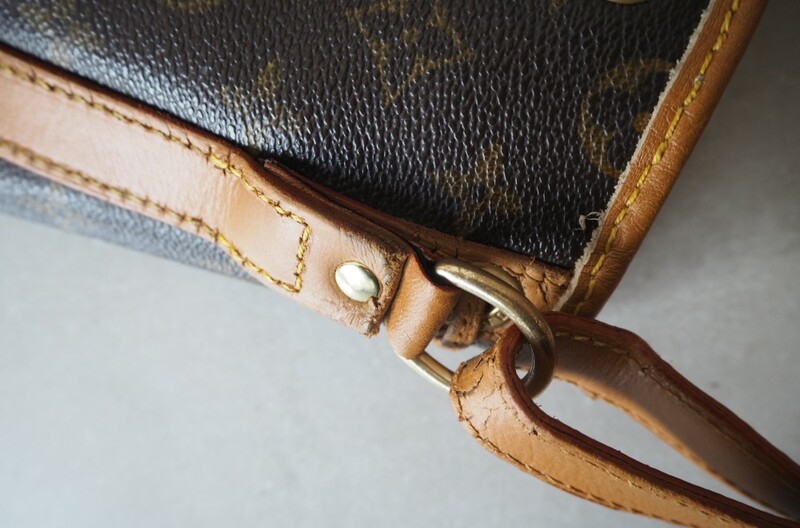 The Handbag Clinic: My Louis Vuitton Noe is repaired! 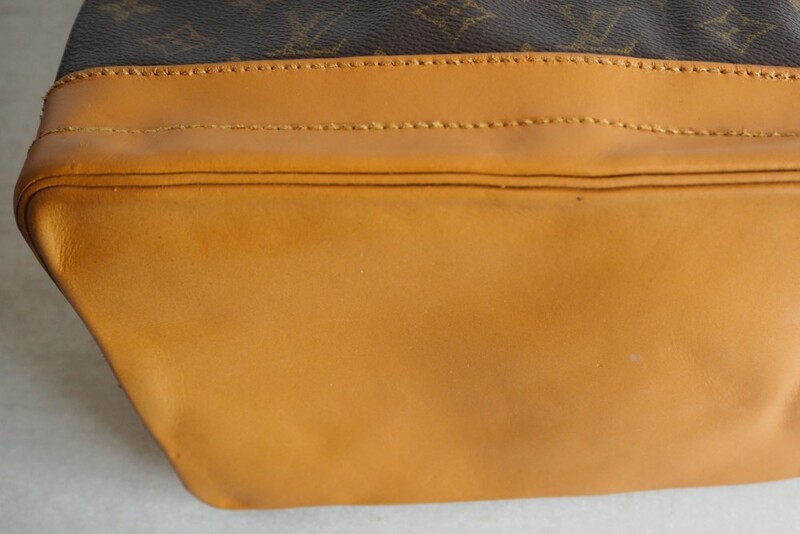 My Louis Vuitton Noe is repaired! Last year I met a man who worked for The Handbag Clinic. He told me all about their business and all the amazing repairs and restoration work they do on handbags. They specialise in high-end designer handbags, so you know you can trust them with your Hermes, Mulberry, Celine and Chanel. They asked me if I would be interested using there service to give one of my handbags an MOT or repair. At the time I didn’t have a handbag which needed urgent attention, but as fate would have it, a few weeks later I found a vintage Louis Vuitton Noe bag. It was made in 1996, perfect detailing, beautiful patina, but it had a broken strap. Truth be told, it was so broken if The Handbag Clinic couldn’t fix it, I knew it would be destined for the dustbin. I knew exactly who to call! The Louis Vuitton Noe bag is a classic; it is a drawstring bucket bag which was originally designed in 1932 to carry champagne. Not even kidding! This handbag is sturdy, yet fabulous and can conveniently store five bottles of bubbly inside. Surely we all need to own a Noe bag, it’s practical for picnics! 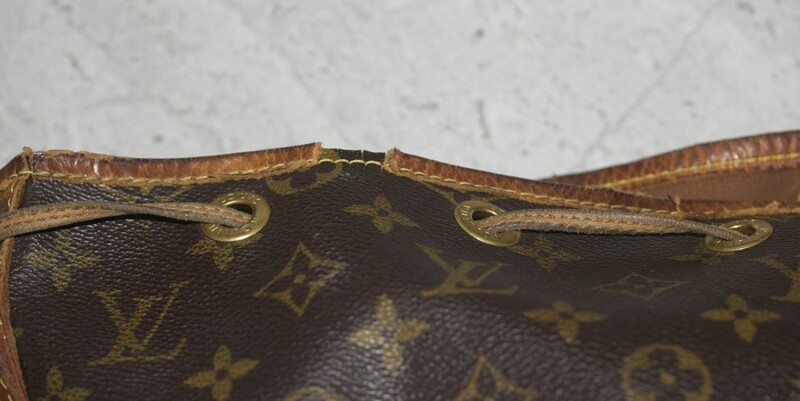 Along with the broken strap, my vintage Louis Vuitton handbag has some other damage to it. The base of the bag had a huge black ink-stain, it also had a split in the seam and generally looked a bit scuffed, patchy and had light staining. The leather trim around the top of the bag had seen better days also, it was badly cracked and in some parts had completely fallen off. The drawstring looked pretty shabby and the over all look of the bag was pretty battered and damaged. Strap: The strap was broken so that the bag could not be used. The leather was completely split and not on the seam. They repaired the strap almost flawlessly, you can’t even see the original breakage. 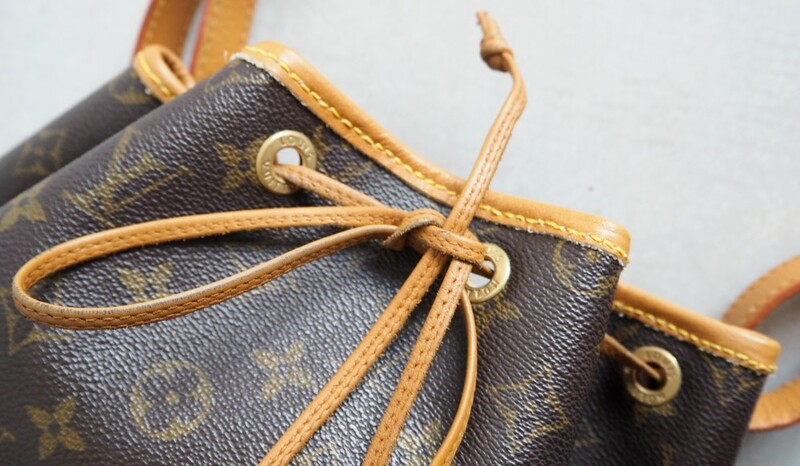 They also managed to do it so that the LV serial number was not damaged. The strap had general wear and tear where the leather was old, cracked and damaged. Somehow they have managed to build up the leather to make it stronger, as well as beautifully polishing it and finishing the edges to give it a much more beautiful a sleek finish than it had. Top Leather Trim: The leather trim around the top of the bag was old, cracked and in part had completely flaked off the back. The Handbag Clinic completely removed the top trim and restitched a new piece of leather. The new leather is perfectly colour-matched to the base and strap and looks perfect. It gives the bag a much nicer finish than it had before and when the bag closes, it makes the bag ‘gather’ into a nicer shape. Base: The base of the bag was quite badly damaged. It has a big split on the seam and a huge black ink stain. The managed to remove the stain on the leather and colour match the leather so that it matches the top trim and strap. The did not remove this leather, they just completely restored it. The also managed to repair the split seam flawlessly and it looks perfect as well as being stronger. Overall: The bag was cleaned, polished and given a general MOT. 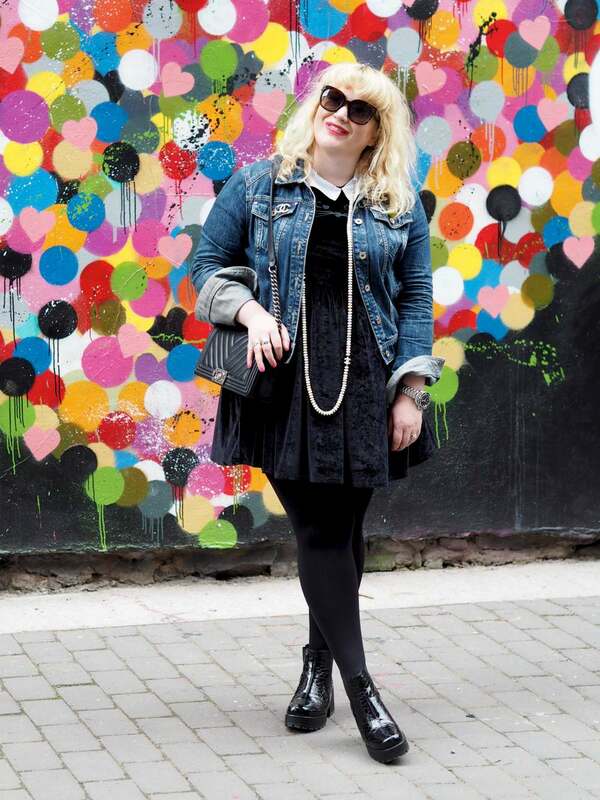 A great handbag is for life. If you spend a little more on a handbag, you get design, great quality and an accessory that you will love for years. However, once in a blue moon, it’s good to give your handbag a service and repair any damage. The Handbag Clinic understand the value of a beautiful designer handbag and know exactly how to repair and restore them. Your handbag will be treated like the precious possession it is and they have all the expertise needed to clean, polish, repair and restore your bag. They can do everything from remove stains, replace zips and repair splits and holes. If needed, they can replace parts of the bag. My vintage Louis Vuitton Noe bag looks better than I ever dreamed it could. It went from being a scruffy old bag to a beautiful classic handbag. The leather was brittle, badly worn and badly damaged. You know when leather starts to flake and peel because it is so old and dry, that is what had happened to my bag. The only leather which has been replaced is the trim around the top of the bag, the rest of the bag is the original leather, but it feels and looks like new as it has been so well restored and nourished. The bag was completely unusable, as the leather which the strap hung from was completely snapped. It wasn’t snapped on the seam (an easier repair) it was split in half over years of use. 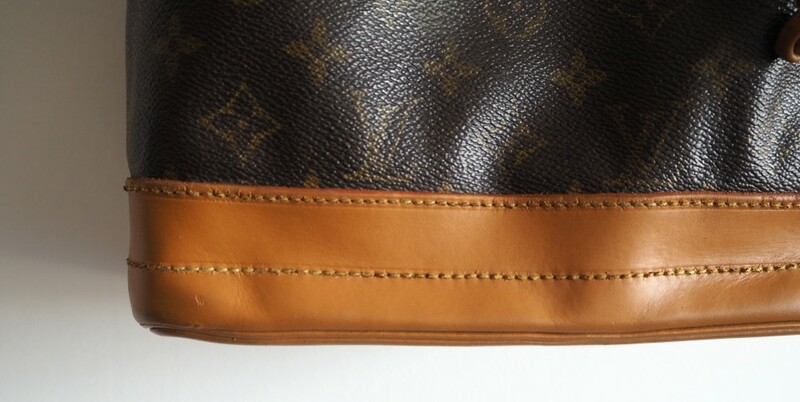 The LV serial number was dangerously close to the breakage and they managed to fix it so that the number was still in tact. The serial number is an important sign to prove the bag is authentic Louis Vuitton, so I wanted to this to be uninterrupted. The repair to the strap is sturdy and neat. You would only notice it, if you were to really inspect the bag. I never imagined they could remove the stain in the base, I can’t even see where the mark were, as there is no trace of it anymore. What originally drew me to the bag was the beautiful patina and somehow they have managed to make the colour of the leather slightly lighter and richer in colour. There was also quite a bad split on the seam of this bag, it would make the bag weak and over time it would have split completely. I can’t see the split at all now, it has been completely repaired without a trace. In it’s original state, I never really noticed how shabby the top trim looked. It was the least of my problems when considering the broken strap and stained and split base. However, Once the top trim was fixed, I realised what an impact it had to the look of the bag over all, it’s just a small detail, but it makes all the difference. As I mentioned earlier, it makes the bag gather nicely when you close it, which adds to the appearance of the bag. Before I sent my bag to The Handbag Clinic I checked the testimonials on their website, every single review was positive and they all talked about the great job they had done and how their service had exceeded all expectations. I sent my bag to them with hopes that they would fix my bag, but I never dreamed it would be returned transformed. Not only was it fixed and sturdy, but the overall appearance of the bag was completely overhauled! What was a scruffy old bag is now a beautiful handbag I will treasure for years! Even my boyfriend was shocked by the transformation, he spent ages inspecting the repairs and he couldn’t believe how different it looked. The changes are literally incredible! These things never translate as well in photos as they do in real life, but all I can tell you, is this bag was destined for the dustbin before it went to The Handbag Clinic and now it is a handbag I adore! If you have a designer handbag which needs a service or repair, I highly recommend you send it to The Handbag Clinic. They have stores in London and Newcastle and if you don’t live near either store, you can post your bag to them and they are incredibly helpful via email or phone. They won’t do anything to your handbag without your approval. Oh and if you want your bag to change colour, The handbag Clinic have an amazing colour change service. See details here. 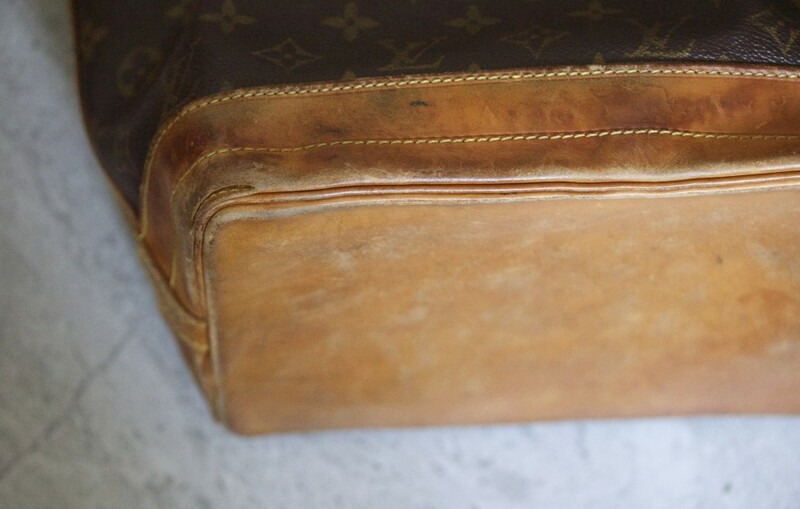 If you are looking to buy a vintage Louis Vuitton bag, try Vintage Heirloom, it’s my go-to destination for preloved and vintage handbags!!! Wowwwww my Noe has a bad water stain on the bottom of it that I want to repair. I can’t recommend the handbag clinic highly enough! I want to send every bag there!!!! I have recently used the Handbag Clinic and unfortunately I didn’t get good results, added to that, the customer service I have received has been appalling. I would think twice before using this company. Hi jenny , I’m so sorry to hear that. I loved what they did with my bag, I’m so surprised you had such problems. Can you share what repairs you had done? my noe is in perfect condition but its missing the brass rings where the draw string goes. it there anywhere where i can find them! Maybe ask Louis Vuitton themselves? Hi . Im an lv lover. 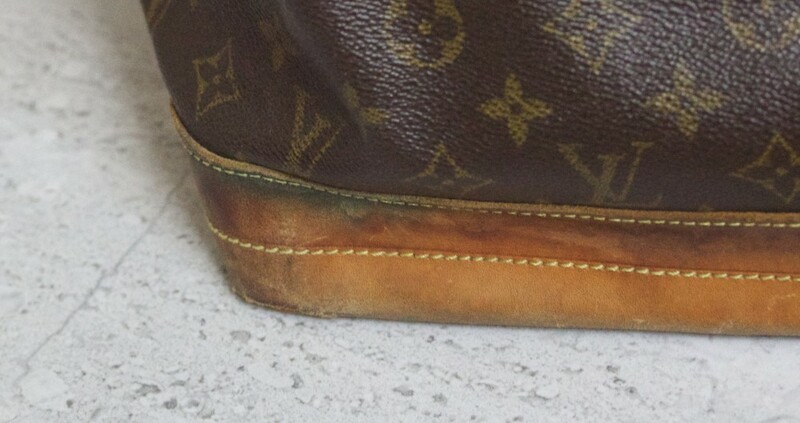 I saw some of my friends having their vintage lv repaired. 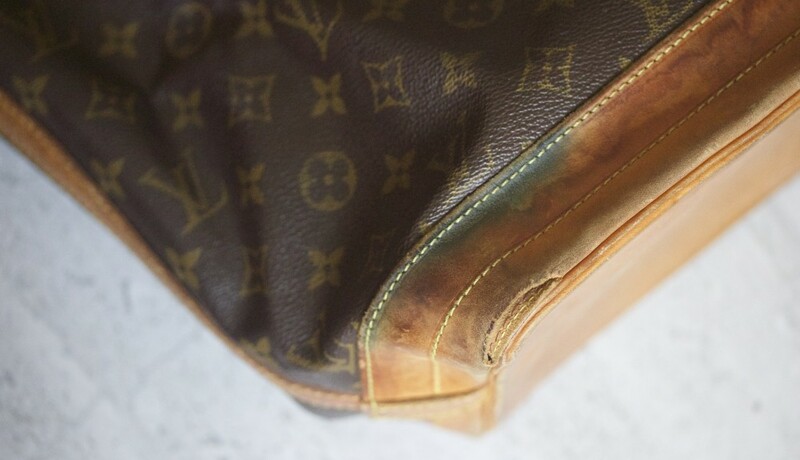 It was dyed thus removing the classy used louis vuitton look. I would suggest having the bag repaired . Leather cleaned but no to dye. Do not listen to their opinion that it will look the same. How can I get my handles replaced? Hi! I’m not sure, but email the handbag clinic and see if they are able to help! I am sure if you email them photos they will be able to tell you! 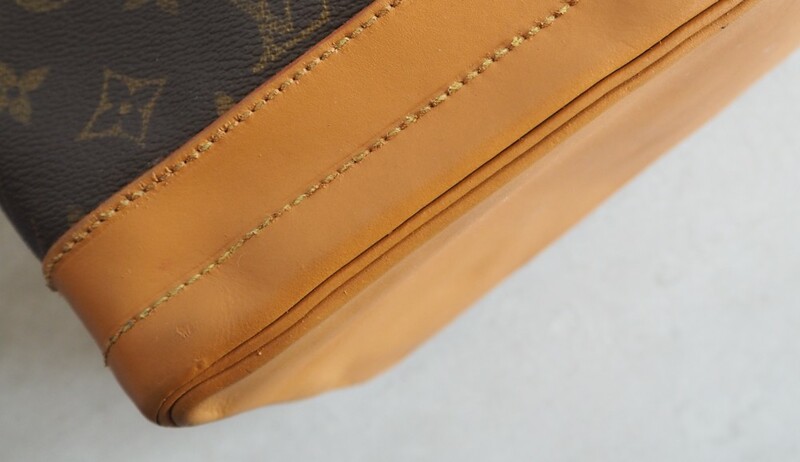 Can they fix 2 small holes in the canvas of a Louis Vuitton Bosphore backpack, right at the entry point at the bottom of the straps? It looks like its from pulling the straps. I’m sure they will be able to! Just send them photos and they will be able to let you know! They really worked wonders for me! The bag certainly looks much better than before but I am disappointed with their uneven stitching in your photos.